Detroit born keyboardist, pianist, composer and producer Charles Greene learned his profession in bars and lounges of the Motor City from the masters of jazz. He toured with several Motown acts like the Spinners, the Four Tops, and Jimmy Ruffin, and has also worked with Vic Damone, Richard “Groove” Holmes, Ernestine Anderson, Laura Lee, Marcus Belgrave, Jerald Daemyon, and many other artists. His solo project is entitled 10 Easy Pieces and was released this year. Charles has composed and produced all songs. He performs piano, organ, synthesizers & programming and is joined on selected tracks by Albert Martin III, Carl Robinson (guitar), Dwight Adams (trumpet/flugelhorn), Jason Gaddis, Ron Otis, and Bill Ray (drums). 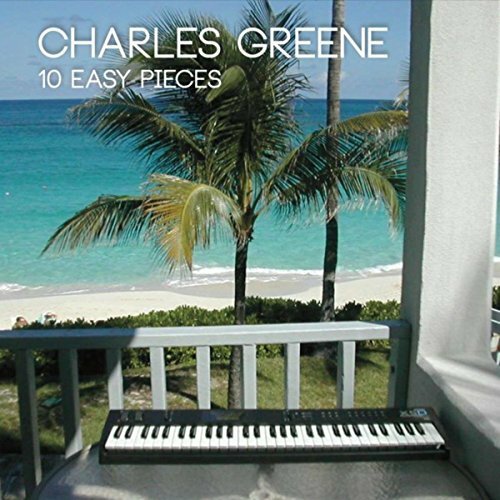 10 Easy Pieces by Charles Greene is a smooth mix of Jazz, Blues, Reggae, Funk, and Latin grooves, with soulful improvisation throughout. All songs composed and produced by Charles Greene. 10 Easy Pieces is on sale at CDBaby, where you can listen to the complete album. Howard Perry‘s love for Reggae music, coupled with his unique trumpet sound and style, creates a distinctive and original twist to Reggae instrumental music. He believes that the essence of music is how it makes the listener feel, and that is what he has foremost in his mind when making music. His combined Smooth Jazz and Reggae style offers a unique approach that the listener will find refreshing and very honest. No Rush is instrumental fusion Reggae incorporating smooth jazz, r&b and world music. An eclectic mix of styles and genres. Now on sale at CDBaby. Trumpeter Darren Barrett proudly wears his Jamaican ancestry on his musical sleeve as well as on the album sleeve of Trumpet Vibes, his seventh album that will be released November 20 on the dB Studios label. Decorated in the distinctive green, yellow and black colors of the Jamaican flag, the award-winning Canadian musician, composer and producer mines the native sounds of his parents’ homeland for the first time on the eight-tracker constructed of hard bop jazz amidst laidback reggae rhythms and frenetic ska grooves. Throughout the session that highlights Barrett’s academic technical proficiency and heartfelt interpretive trumpet work, animate vibraphone plays the role of trusty sidekick with noted vibist Warren Wolf on the record’s opener and closer.